KSRealityBites: Pomegranate juice, an office stress buster! Pomegranate juice, an office stress buster! You have read many of our articles pertaining to stress but this time here's yet another informative & most importantly a better office stress buster! A recent study has found that pomegranate juice, which lowers heart rates, can help beat office stress & also make one feel more positive towards one's work. Scientists studied a group of volunteers who drank 500ml of pomegranate juice everyday for two weeks. At the beginning & end of the study their pulse rate was measured & they filled in a questionnaire describing their mood & feelings about their job. This research, funded by the Pomegranate juice company, showed almost all of the workers reported being more inspired, enthusiastic proud plus active. The volunteers were less likely to describe their feelings as distressed, nervous, guilty & ashamed compared with the beginning of the fortnight & most had lower pulse rates. Dr Emad Al-Dujaili, the lead researcher, of Queen Margaret University in Edinburgh, quoted to Daily Mail as saying "On the basis of these findings there is a justified argument for busy workers to drink pomegranate juice to help alleviate chronic stress & maintain good health." 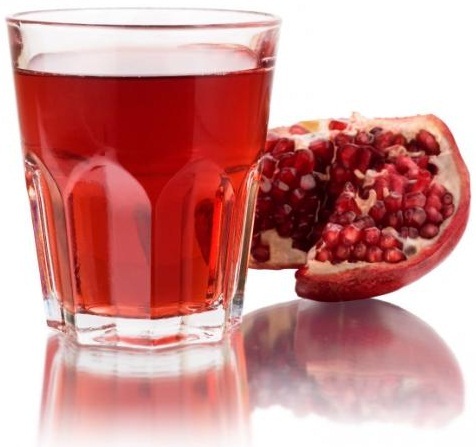 The researcher added by concluding, "It is very rare indeed for an all-natural juice to offer the range of health benefits that we are seeing in pomegranate juice." There is growing evidence that pomegranate juice delivers wide-ranging health benefits that merit further research. Hope this post found you much more benefited if you were seeking to get away from your daily office stress. Eliminate the stress by taking one glass of fresh pomegranate juice. Feel free to add your opinions based on your experience of this particular juice. You should remove all those social buttons from your blog. They are just too many and they simply hide the 'real estate' on your blog. @Dhakkanz On readers request it has been removed immediately! Thanks for the concern.